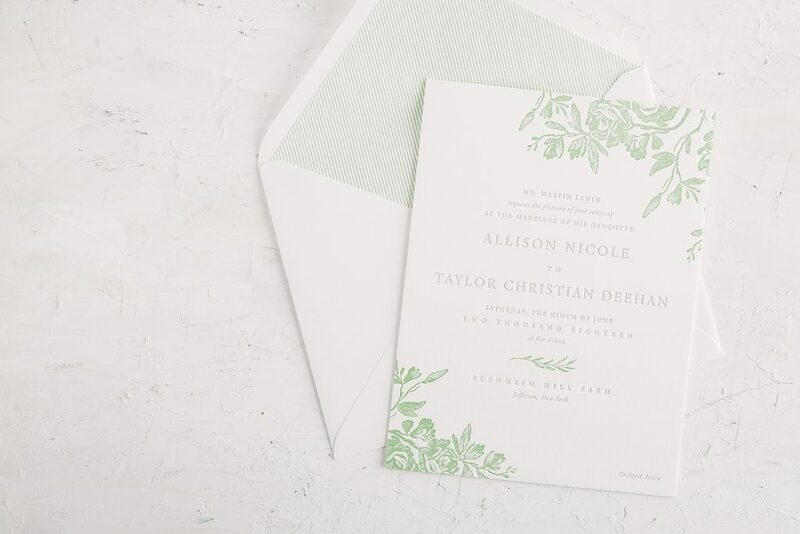 Our flagship store worked with Allison and Taylor to create their green floral letterpress wedding invitations. 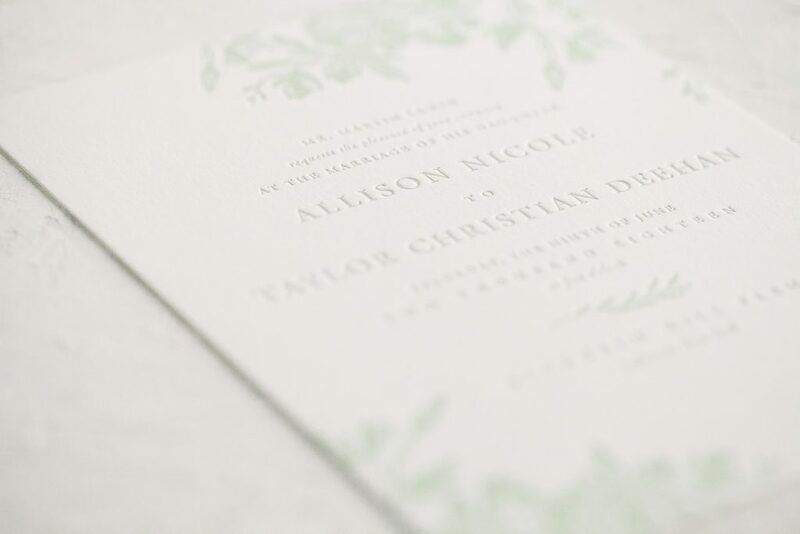 The typography printed in Cobblestone ink acted as a neutral to the surrounding Celadon florals. Our Tristan design served as the inspiration for their design. Additionally, the couple made the design their own by placing the botanical elements in nonadjacent corners framing their wording. A serif font kept the typography clean as well as consistent throughout. Finally, a striped envelope liner pattern added a geometric element to a more garden inspired set.